You know what the worst part about feeding a baby is? Having to use both hands. You have to hold the baby AND the bottle. Just totally terrible. There’s a device to help with that. 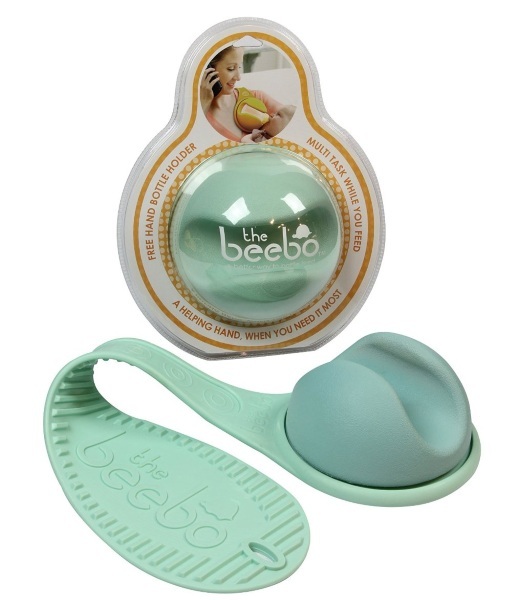 The Beebo will give your hand back from feeding the baby. No more will you be held under the tyranny of child nourishment, take your hand freedom back! You can talk on the phone, text, play a simple melody on a piano or sign things all while still fulfilling your duty as a parent. The Beebo sits over your shoulder and holds the baby’s bottle while you are free to do other things. With your one hand. The official information for this product suggests doing things like burping or reading a book to keep your baby focused on eating. Only, you don’t burp a baby while they’re eating and if they’re not focused on eating, then they’re not hungry. Babies will fight you for food with their little baby hands. You don’t need to captivate them. But if you really want that other hand back, you can pick up the Beebo for $34.95.